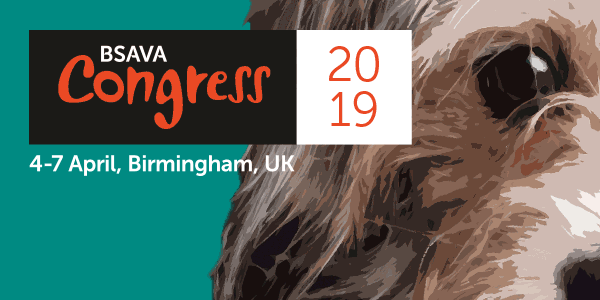 Excellence took centre stage at the 59th BSAVA Congress, as thousands of delegates and exhibitors gathered in Birmingham for four days of science, education and innovation. BSAVA President Patricia Colville heralded a ‘diverse and ambitious’ programme of more than 350 lectures and practical sessions, experienced by 6,683 delegates (not including exhibitors), this is in comparison to 2015 final numbers of 6,503. The BSAVA Balcony in the Barclaycard Arena saw record manual sales - the three most popular titles were all new editions, with clinical pathology, fracture repair, and anaesthesia all subjects driving sales of these practical best-sellers. 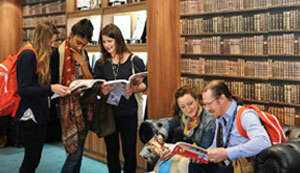 Known for nurturing knowledge and the quality of its CPD, Congress also continues to be the place to unveil the latest industry innovations, as hundreds of exhibitors - including more than 30 attending for the first time - launched a range of products, systems and services – finding new ways to engage with the entire small animal veterinary profession. BSAVA held a special press conference to explore the growing evidence of a link between domestic violence, child abuse and animal cruelty. Past President of the Association, Dr Freda Scott-Park, launched a new resource from the Links Group created especially to help vets and veterinary nurses working in practice be part of the solution to an often hidden and unconnected problem. It was also a time to recognise veterinary excellence, with the BSAVA Awards honouring the profession’s outstanding individuals who help to advance scientific knowledge and improve animal welfare. Ultra-endurance athlete and documentary maker Mark Beaumont gave a keynote address about his adventures travelling to 130 countries, breaking world records, dramatically capsizing when rowing across the Atlantic and the work that goes into organising an expedition of such magnitude. Congress is also an important event in the social calendar, giving vets and VNs the opportunity to meet peers and network, reconnect with old friends and let their hair down. The Banquet on Friday was a glamorous affair – with a menu that nodded to the Scottish heritage of President Patricia Colville, and VetFest came back for a second, stunning year – with top comedians, dance-floor filling musical acts, and a festival vibe that saw delegates wearing face paint and glow sticks and dancing in the increasingly popular silent disco. Patricia Colville, said Congress continues to lead the way in the small animal veterinary profession. “I am extremely proud of everyone involved in delivering the most diverse and ambitious Congress yet,” she said. “A great deal of effort has gone into reflecting the BSAVA’s commitment to ensure that vets, veterinary nurses and practice managers at all stages of our professional careers are challenged, inspired and supported. “This has been a brilliant Congress and I hope every delegate enjoyed their experience as much as I did. As a profession we are always facing fresh challenges and Congress is an important place where the whole profession comes together to understand those challenges, engage with the incredible diversity of veterinary science – and importantly, to connect with one another and have a good time."